I love the holiday season especially Christmas!!! It’s probably my favorite holiday, at least after October 31st it is. I think it’s awesome if children can celebrate holidays in class without missing out on pivotal math topics. I’ve made a lot of different math and literacy for different holidays just for this reason. 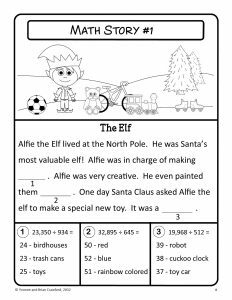 One Christmas unit that I really love is Christmas math puzzles. There are several different types of puzzles. Most children love the math stories the most. It’s a fun way to let math dictate the story. 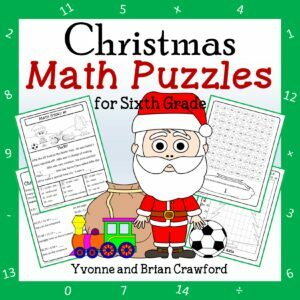 There are also graphing puzzles, drawing puzzles based on math questions, number search and more. The great thing about my math puzzles is that I’ve made them for first through 6th grade. This allows young children enjoy them, as well as, older children. Depending on the grade level, the math skills are practiced for that particular grade.